One of the first things you’ll hear about capturing the Millennial market is that they love and value authenticity, but what does that mean? Authenticity is a broad concept with a definition that’s hard to put a finger on. Executives from major companies share various definitions in a Digiday feature, and according to an article in the Washington Times authenticity is comprised of communication, transparency, relevancy to wants/needs and care. But in order to simply things, let’s think of authenticity in a simpler concept: authenticity comes from knowing your customers, their needs, and how to have that communicated. Brands are starting to catch onto that in several ways. Take a look at the tweet above and you’ll notice a few things: someone tweeted at Wendy’s with a passive complaint about a product (French fries and the high amount of calories), Wendy’s responded with honesty and humor, this interaction was screen capped and shared by another account offering praise for Wendy’s “troll game”, and people are sharing that and enjoying it even more. It’s silly, and at a first glance it seems superficial, but it’s all part of a strategy to create ways for customers to want to engage and share what they’re seeing. So, how do you bring authenticity into your affiliate strategy? Turns out there’s actually a ton of opportunity to do this. If you’re an advertiser, look for content publishers and influencers who can represent your brand or products in a way that’s honest, direct, and meets the needs of the publisher’s audience. Content publishers should be aware of who their audience is on a needs and wants level, and work with brands and products that meets their audience needs. YOLO (You Only Live Once). FOMO (Fear of Missing Out). These are phrases that Millennials love to live by, whether it be staying out just a little later with friends on a weekend night to see what the evening may bring, or take a last-minute vacation somewhere. The message is clear: Millennials value experiences over owning things. Not surprisingly, they prefer to have their marketing feel that way too. And make no mistake – experiential marketing works. According to a survey conducted by Factory360, a shocking 98% of participants felt more inclined to purchase a product when they participated in an experiential campaign. Experiential strategies can be brought into your affiliate campaigns. Publishers can offer a range of things, from live presentations and information (while incorporating products they want to represent, or having a brand sponsor the presentation), to engaging with communities and making their buying experience engaging and personal. Likewise, advertisers can look to partner with active publishers that are looking to do these sorts of engagements, as well as focus on updating their creative so that it speaks to the experiences a Millennial can gain from their product/product line. Content plays an important role in the lives of Millennials, but one critical feature stands out on their various content platforms: the ability to share. Sharing content is as easy as clicking a button to instantly retweet, repost, or share from one profile to another, boosting the signal of the content to however many followers or friends the user has. And there’s no prejudice on what’s shared – Millennials will be just as quick to share a photo from a friend as they are a branded video they found entertaining. They do this because they identify with the content, it provides value to them, and it reaches them in an authentic and transparent way. But there’s a disconnect. Two years ago a study conducted by NewsCred found that 45% of Millennials don’t see the content being produced as something worthwhile to share. That same study also found that 60% said they’d share content if it’s thought provoking and intelligent. But the biggest reason Millennials share content is because it’s funny, with over 70% of respondents citing that as the reason. Affiliate marketing is a great channel to get a brand or product passed around to people who will care about it because, on the publisher end, they know what their audience likes and doesn’t like. Advertisers should be looking to work with publishers who understand who their audience is, and publishers should be looking to create content that shareable. That also leads into our next topic: content creation. Take a look at those three qualities above: thought-provoking, intelligent, and funny. While having those three sounds like great dating advice, they’re just as important in content – and exactly why affiliate marketing is such a beneficial channel for brands. Brands have products that have a thousand different stories that can be told. Content publishers can develop that those stories into content that customers will want to share. Say your brand offers hiking equipment and you want to have a tent promoted. Content publishers and influencers can take that product and promote it in a number of different ways – telling a number of different stories in the process. This lends to the authenticity that Millennials crave, gives them thought provoking, intelligent, or funny content they want, and provides them with an opportunity to get an experience out of a product, rather than simply owning it. The right partners are crucial for this, on both sides. Publishers and advertisers alike need to make sure they’re making the right partnerships for the same reason: the Millennial customer. A wrong partnership means you’re reaching the wrong audience, which can hinder sales and hurt publisher performance. We know now that Millennials like content, they like authenticity, and they want their content to have substance before they share it. But we’re also talking about one of, if not the most, diverse generations of all time, which means their interests are going to be equally diverse. That’s where content personalization comes in. Personalization is something that can be done on a number of different scales, and advertisers and publishers will need to be aware of this. For example, personalization could be writing very targeted blog posts for very specific types of interests or engaging with members of the community one on one through social media conversations and forums. The benefit of this narrower strategy is that it has a much deeper impact on Millennials because they feel that their needs are being thought of by the advertiser and it reaches much farther into niche groups. One avenue for advertisers to consider to take advantage of personalization is by partnering with influencers who can represent their product and their brand in a way that connects with Millennials who have very specific interests, wants, and needs. Publishers and influencers out there who can do this, make sure you highlight any specific groups that are a bit more niche that might be interested in an advertiser’s product when going to partner with them. Dating. Marriage. Home ownership. Children. These typical adulthood milestones are being viewed much differently by Millennials than any other generation before them. For example, in 2014 a study came out that showed only 21% of Millennials were married – and by comparison, 42% of Baby Boomers had been married at that point in their lives. The reason many Millennials and studies will tell you has to do partly with the Great Recession, partly with the mounting debt from education, and worry about finding a stable, full-time job. 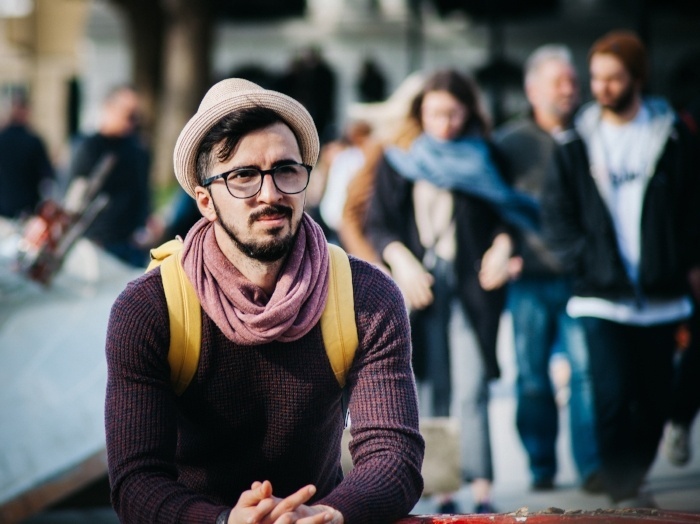 There are plenty of other social elements too – the lack of social pressure to get married and have kids, for example – but one thing is clear: the need to meet certain adulthood milestones by certain ages just isn’t a concern for Millennials. Why is this important to marketing, especially affiliate marketing? Two reasons: first, Millennials are digital-savvy and resourceful, which means that whenever they do reach these milestones they’re going to be turning to the digital channel for their research. And second, because Millennials are so diverse and because they’re reaching these milestones when they’re ready rather than when they come to a certain age there are more opportunities to market to different types of Millennials. For example, say you’re an advertiser that has a product line of cooking ware at a competitive price. You could look towards wedding planning content publishers to promote your line of products as something to add to a registry, citing the practicality of the product at a reasonable price. Or, if you offer financial services, consider sponsoring content with content publishers on how to purchase your first piece of property. These are simple ideas, but they can be effective in reaching a wide range of Millennials. When looking to capture the attention of Millennials, start with the price point. In an article published by Entrepreneur, it was noted that Millennials are more sensitive to price and that purchasing decisions are mostly influenced by the cost of the product. This outweighed other factors like brand recognition, which retailer they purchased from, and whether the product was in stock or on back order. This is supported by an Adroit Digital research paper which noted that price point had the most influence on a Millennial (62%), outweighing recommendations from a friend (55%), brand reputation (47%), and product quality (35%). But this isn’t the whole story. An eMarketer study from November 2016 found that affluent Millennials did put a high value on brands. The study didn’t note whether or not brands outweighed price for the more “well-to-do” Millennials, but it did note that these Millennials felt that their favorite brands played an important role in their life (70%) and expected that to continue throughout their lives (64%). Furthermore, 60% of these Millennials felt an emotional connection to these brands, and that they are defined by the brands they purchase. The message to marketers is clear: Millennials aren’t as concerned about where they get their product or how well the product is made – if the price is right, they’re interested. And for Millennials who have the money, they won’t mind shelling out more for a brand that gives them a symbol of status. Mobile, mobile, mobile – it seems like there can’t be any topic talked about today without the concept of mobile being brought up. And really, that’s not all that surprising when it comes to Millennials. After all, we’re talking about a tech-savvy generation who has learned to leverage a mobile device for their shopping needs the same way that coupon books, shopping catalogs, and in-store bargain hunting used to be utilized. This is a common topic, so we don’t want to spend too much time on it, but there are some trends you should be aware of about mobile usage that will impact how you market towards Millennials in 2017 and beyond. For starters, an eMarketer study from the holiday season showed that mobile devices were crucial for Millennial mothers to search for the best possible price on a product (79.4%), read reviews (68.9%), and download coupons (67.1%). Even in-store shopping was greatly influenced by Millennial mobile users, with over half (52%) comparing prices to other retailers. With the importance of price Millennials place on making a purchase, the fact is over half of shoppers were standing in the aisles of a store, product in one hand, phone in the other, comparing prices to make sure they were getting the best deal – which could mean they would go purchase that product they had in hand elsewhere if they found a better deal at another store. But it doesn’t stop at price research. Millennials are also using their mobile devices to make payments. 21% of older Millennials (25-34) use their mobile device to make at least one purchase a week, and another 14% use it to make a purchase once a month. What’s more, in a study of US and UK Millennials it was found that 25% of Millennials use a mobile device to make at least one purchase daily, with 15% using their phone to make purchases multiple times a day. We point out statistics such as these to stress how important mobile is throughout the buyer’s journey. A Millennial could research a product, find the product, decide to price shop and see if they can find a better deal, and make a transaction all from their phone – and it’s preferable to many of them. Build your affiliate strategy with the buyer’s journey in mind, and keep that mobile aspect front and center! Ad blockers have become a common challenge for most advertisers to overcome, and Millennials won’t make that any easier. An eMarketer study from October shows that 64% of Millennials use some form of ad blocker, whether it be desktop, mobile, or both. Only 36% aren’t using any form of ad blocker, but that number will likely shrink as time continues to pass. The great benefit to affiliate, however, is how well it’s able to circumvent those ad blockers with tactics that Millennials do want to see. Influencers are a great way to make sure your efforts as an advertiser are still reaching Millennials, and the same goes for content publisher partnerships as well. The fact is Millennials chose to engage with these content publishers the same way they chose to engage with anything else in the digital landscape. The ability to control their own marketing is crucial for Millennials, as evidenced by the use of ad blockers, and as an affiliate marketer (advertisers and publishers) you have a very natural - and critical - solution.